IDR has a team of over 90 Debt recovery Specialists and partners which are Attorneys,CA/CPA, s MBAs, Commerce Graduate. The members of AEREN are highly skilled and competent professionals with years of experience. They bring the highest level of professional excellence, integrity and sound ethical and fair practices. They are trained in the latest practices & technologies through our continuing educational programs in accordance with the codes of professional conduct and ethics. 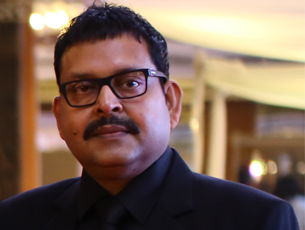 Mr. Raman Aggarwal, captain of the ship is the founder of Aeren Group- India's Boutique KPO. 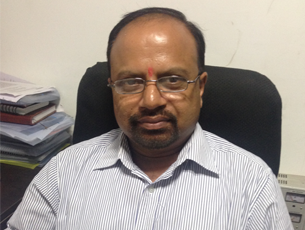 He is a Chartered Accountant and is a fellow member of The Institute of Chartered Accountants of India since 1988. His ability to understand the business environment coupled with his sound financial, Legal, Tax and accounting background has enabled his firm "Aggarwal Raman & Associates" - a Chartered Accountant firm to specialize in Assurance, Accounting, Tax, Transactions , Advisory ,cross border advisory, Dispute Management, Bankruptcy, insolvency and corporate restructuring, Business litigation ,liability matters,. Since assuming leadership of Aeren Group founded in 2006, Mr. Aggarwal has continuously explored and developed innovative and unique programs for the company. Mr. Aggarwal is an enthusiastic, decisive; extra-miler who believes that excellence has no finish line. He has been providing services to companies like Google, Yahoo, HP , Quark, Fidelity etc. with guidance on pragmatic risk management strategies, compliance policies, crisis management and litigation exposure assessment. He provides holistic guidance around strategic business decisions, focus solutions and offers deep industry knowledge and situational experience to aid in delivering effective, market-leading advice and deliver long-term tangible value. He has an approach that combines deep legal expertise and insight and innovation from multiple disciplines with business and industry knowledge with extensive business experiences to deliver guidance based on multiple points of view and help company to excel globally. Strategy, Planning, Structuring, transformation processes and Implementation is his forte. Thereafter, in due recognition of his contribution in Business, Financial and Legal world, he has been appointed advisor/Expert to Punjab Vigilance Bureau and Punjab Police Department for Advice, Expertise and assistance in investigation/Enquiry of Economics/White Collars offenses in India. He is also Special Auditor appointed by Department of Income Tax, He, lately nominated as a member of Zonal Advisory Committee of Service Tax of N-W Region office of the Chief Commissioner. Mr. Aggarwal has also been with the "Office of Official Liquidator" attached with the High Court of Punjab, Haryana and Chandigarh. .He has a strong drive for excellence and sustainable growth as a result he is presently a member of different national and international organizations like International Fiscal Association, Netherlands, NASSCOM, CII and PHD Chamber of commerce etc. As Chief Executive Officer, he is responsible for the vision and overall achievement of MyShikayat's direction. 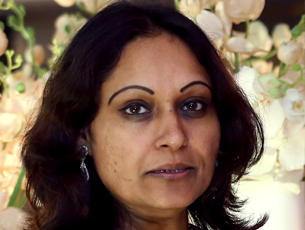 Anju is a professional qualified Architect and is founder of Aeren Group with her husband Mr. Raman Aggarwal. 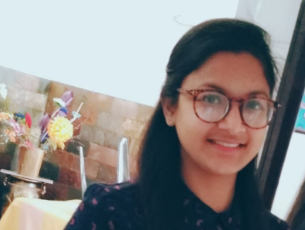 Anju is one of the captain of the ship and as a 'hands on entrepreneur �dabbles in pretty much everything from business strategy to management to support. She is a strategy and creative leader with over 20 years of experience in managing and driving high impact business initiatives. She draws upon her extensive experience, sharp insight and resources to help business reach its full potential. She understands challenges and knows what it takes to drive sustainable growth. She thinks out-of-the-box that turn value-killer risks into value-creating opportunities. She is professionally qualified Architect. An entrepreneur at heart with a strong desire and passion for building a world-class and successful organization, where employees love what they do. She works collaboratively with them to focus solutions on the real issues affecting businesses and deliver long-term, tangible value. 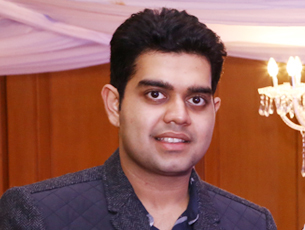 Shrey has attended UILS at Panjab University, Chandigarh and received his degree in B.A. LL.B. (Hons). 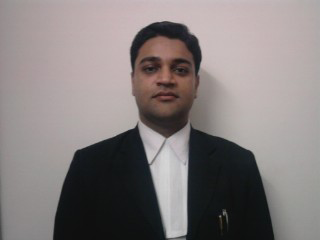 He has participated in various moot court competitions throughout the accomplishment of degree. Shrey has vast knowledge bank into Civil, Criminal, Writ, DRT, Company/Industrial, International Trade, Patent, Family/Matrimonial and Constitutional Laws, fields of intellectual property, arbitration, corporate, contract, banking and financial, real estate, retail, marketing, bankruptcy matters, torts and malpractice. He is knowledgeable in his field and takes pride in what he does. He is an extremely hard worker and fast learner. He comes up with clever ideas for complicated tasks that save both time and money. His expert understanding of the litigation life cycle along with his ability to effectively manage the entire process are unique assets. Simpy Gupta received her Law degree from one of the prestigious law school in India 1994 and done her Company Secretary from The Institute of Company Secretary of India. Simpy has been an instrument in setting up Aeren LPO in 20016 She is an experienced corporate Legal advisor and corporate secretarial work. Simply is an active lawyer of the organization having experience of more than 20 years. Simpy qualified member of the Bar Association and has extensive experience in handling international clients. Being as Chief Corporate counsel, Simpy, devotes a substantial portion of her practice to Dispute Management, Contracts Managements, Regulatory and Legal Compliances, Corporate law, Merger and Acquisition, Intellectual Property, Arbitration Law, International Law, Company Law, Contract Law, Banking & Financial Law, Real Estate Law, Retail & Marketing, Bankruptcy matters. With her passion for service delivery and value generation, she has emerged with a competitive edge in legal Field .Neelam specializes in legal resolution with the overall objective of generating an acceptable outcome for her clients in a time-efficient and costeffective way. A commerce Graduate, with vast experience in Finance, Tax, Accounts, Legal, Compliances and Corporate Affairs, is the master of all trades. Unni has over 25 years of experience in financial planning and management and Regulatory compliances. Unni is our one of our first employee when Mr. Aggarwal started his Chartered accounting and Merchant banking business 25 years back. Unni has worked in all most all the departments/Functions of Aeren Group. He is the trouble shooter and always ready with a solution. He is the commander of Aeren Group with sharp skills always filled with passion He only believes in Delivery. His understanding of business is unbelievable. Unni's strength is to develop and deliver a successful solutions with delivery. 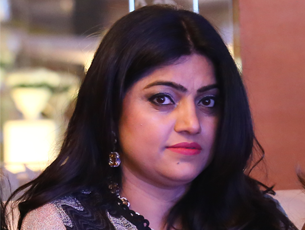 Arti is a management degree holder from one of the India's most prestigious business school IIM Calcutta with vast human resource and strategic management experience from various indigenous organizations over the last ten years. Arti has been part of Aeren LPO from day. As an experienced system based thinking consultant, she possesses a high sense for people and dynamics, with the proven ability work successfully and facilitate in complex environments. Her primary assignment is to develop strategies for the general operations of the organization as well as develop corporate relationship and establishing business channels internationally. She has participated and managed large numbers of international projects and clients. She is expert in developing a cordial relationship between the clients and organization. With her exceptional client service and relationship management, she offers quality business support providing adequate information to clients and develop network beyond borders. 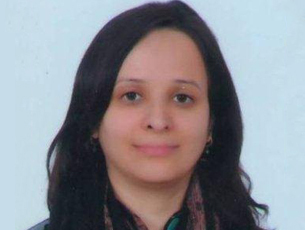 Mrs. Neelam Thaman is an active lawyer of the organization having experience of more than eight years. Neelam qualified member of the Bar Association and has extensive experience in handling international clients. Being senior counsel, Neelam devotes a substantial portion of her practice to act as mediator and negotiation specialist for our international and national clients. She also serves as a Business Negotiation Consultant with some multi-national organizations and other corporate institutions alike. With her passion for service delivery and value generation, she has emerged with a competitive edge in negotiation and mediation. She has a particular affinity for conducting mediation, permitting parties to resolve their dispute in an even-handed, flexible environment that caters to their unique needs and circumstances. 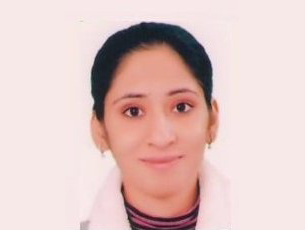 Neelam specializes in dispute management resolution with the overall objective of generating an acceptable outcome for her clients in a time-efficient and cost-effective way. Neelam sparks� Alternative Dispute Resolution capabilities include mediations, negotiations, and arbitration and settlement conferences. Neelam heads the dispute management group and handles a wide range of complex commercial dispute for major national and international clients. Ms. Anu is professionally qualified lawyer having 2 years experience. She is specialized in Commercial Debt recovery Practice, Dispute Management, Alternate Dispute Resolution expert Expertise in Mediation, Negotiation and conciliation, Consumer related issues. She is having knowledge of the Business law, Consumer Law, Corporate Law, Criminal law, Expert in handling Litigation Experience of analyzing, researching and summarizing legal and business information. Ability to communicate effectively with Top Management, middle level management, clients and regulatory authorities. Copyright © 2009-2015. Aeren IT Solutions Pvt Ltd. All Rights Reserved.